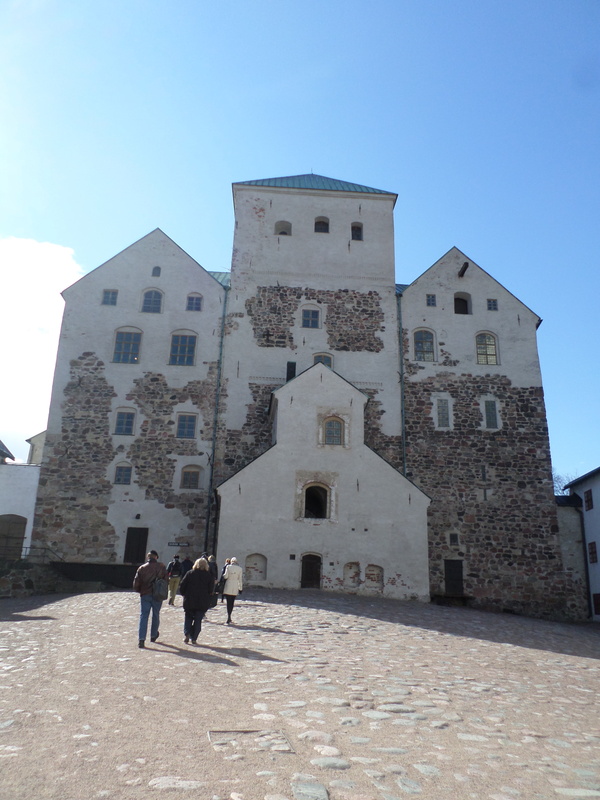 We made our way to Turku Castle. 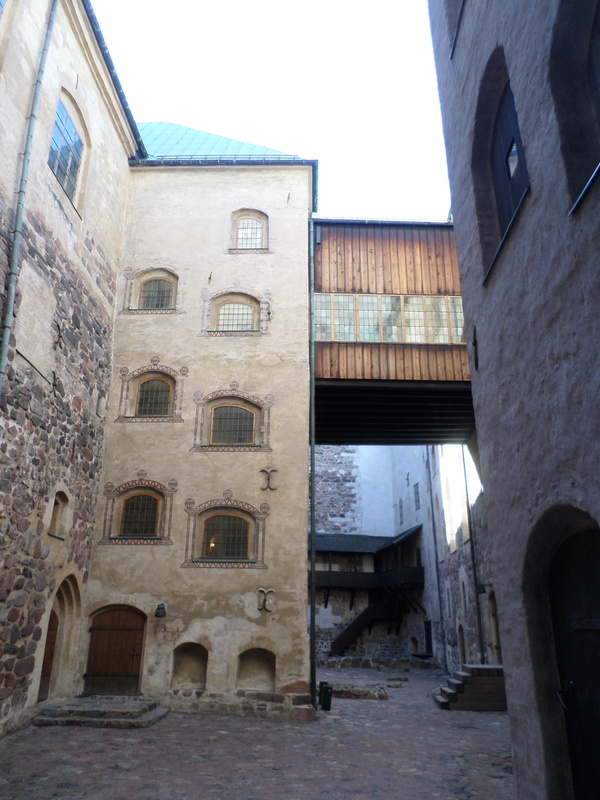 Let’s just say this – medieval castles are pretty neat to walk through. You feel like you are stepping back in time. I’m often left wondering what daily life was really like in a place like this. The castle would be where there rich and powerful would have lived. They would have had the best of the best for that time. And yet, when we look back – it seems so antiquated and unfamiliar to our modern ways of living in many ways. In some ways, the poor of today live better than the rich of the past. Yet in others, the rich of the past live better than many today. It’s an odd paradox. As you approach the castle, this is what you see. Pretty cool. 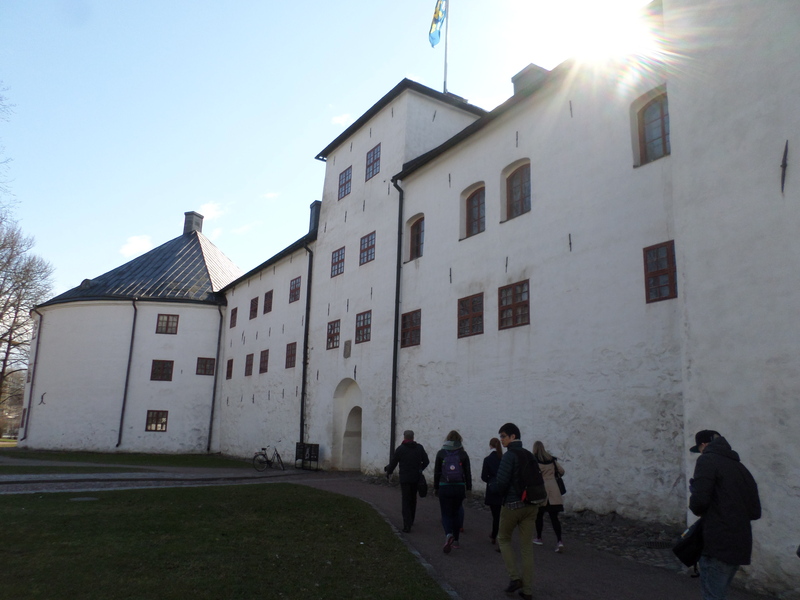 It’s the opening of the interior of the castle. Now tell me that isn’t the coolest piece of architecture you’ve seen in a while. Once inside we started the tour. We began at the gatekeepers room. 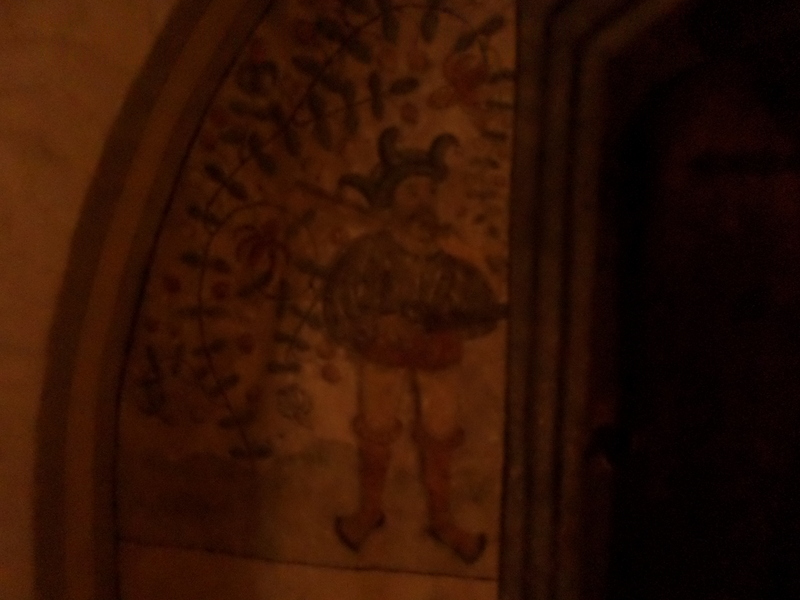 There are original paintings on the wall. Talk about stepping back in history.